Whopper's Bunker: Money? What money? On December 12th last, FOX News broke a story revealing that at least two major United Nations development agencies, described as having accumulated some $3.2 billion in cash in 2009, refused to divulge exactly what they spent their program money on. The information was contained in a confidential draft report prepared on behalf of the Norwegian development agency known as NORAD [not to be confused with the real NORAD] for the Norwegian government, one of the U.N.’s biggest donors. After Fox News examined the first volume they reported that four of the five U.N. agencies examined had a much bigger total of at least $12.2 billion in unspent cash by the end of 2009. All of the agencies refused to comment on the specifics of the document at that time. Nonetheless, they vigorously denied having unspent free cash in their treasuries, saying that the funds were specifically earmarked for the future years of programs that had already been approved. The agencies also declined to comment regarding the assertions made in the second volume of the study. The report has naturally sparked a lively internal discussion over its conclusions and observations. 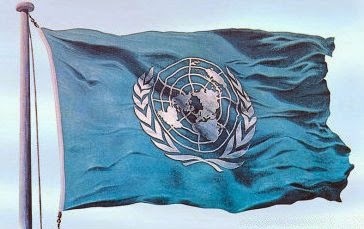 The Volume I report declared that in addition to risking a donor backlash, the build-up of cash in the big U.N. aid agencies “implies that substantial donor funding is not being used for development purposes,” a notion that all the U.N. agencies vigorously dispute. Volume II of the study, entitled Activity-based Financial Flows in U.N. System: A Study of Select U.N. Organizations, focuses on what it calls “case studies” to support the first volume of general observations. And it discloses another major problem: according to the report, several of the agencies are apparently unwilling, or in some cases, unable, to account for what happened to some of the money that they know they spent. A source close to the U.N. Special Investigation Committee, probing UNPASID and UNETIDA said that the $12bn figure was significantly close to a "Special Projects" budget that the senior staff of UNPASID had approved, but for which there was no known origin. The source spoke on condition of anonymity and was not authorised to make public statements on behalf of the U.N.